The Shepherd & Dog enjoys an idyllic location in the rightly celebrated South Downs National Park, and we’re proud of offering a tranquil sanctuary to visitors from across the county and beyond. Our little corner of the south-east of England is regarded as one of the most popular tourist regions in the UK, and it’s easy to see why. Here are several much-loved tourist attractions that are within easy reach of our famous Sussex gastropub. Officially opened in 2016, this 162-metre high observation tower has rapidly become a firm favourite with tourists and locals alike. 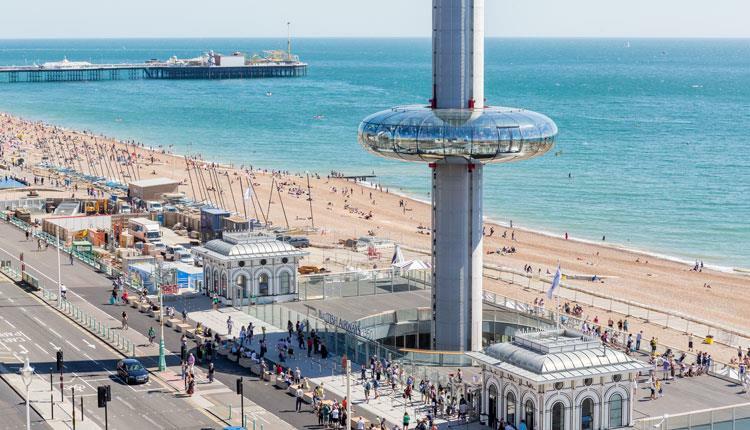 It provides a slow, gentle ascent to its fullest height, bringing spectacular views of the English Channel, the Brighton waterfront and of course the picturesque South Downs. Also known as the Brighton Pavilion, this is a former royal residence that’s steeped in fascinating history. Construction began back in the 1780s on what was to become a home for the future King George IV, and the building itself was one of the reasons for the increasing popularity of Brighton as a tourist destination. A celebrated arts venue that’s located in Church Street, the Brighton Dome famously played host to ABBA’s memorable Eurovision Song Contest win in 1974. The building itself has had a variety of guises, beginning life as a stable block for the Prince Regent. It has also been a temporary military hospital and a Victorian stable block. Past performers include the likes of David Bowie, Stevie Wonder, Pink Floyd, Jimi Hendrix and Muddy Waters. 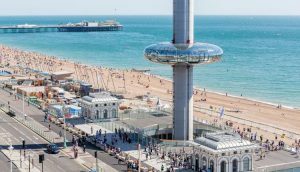 Brighton’s iconic Palace Pier is still as popular now as it’s ever been, and these days it offers a wonderful combination of heritage and modernity. Originally constructed in the 1820s, it’s more than 1,700 feet in length and was famously closed during World War Two to prevent any unwanted incursions from the sea. 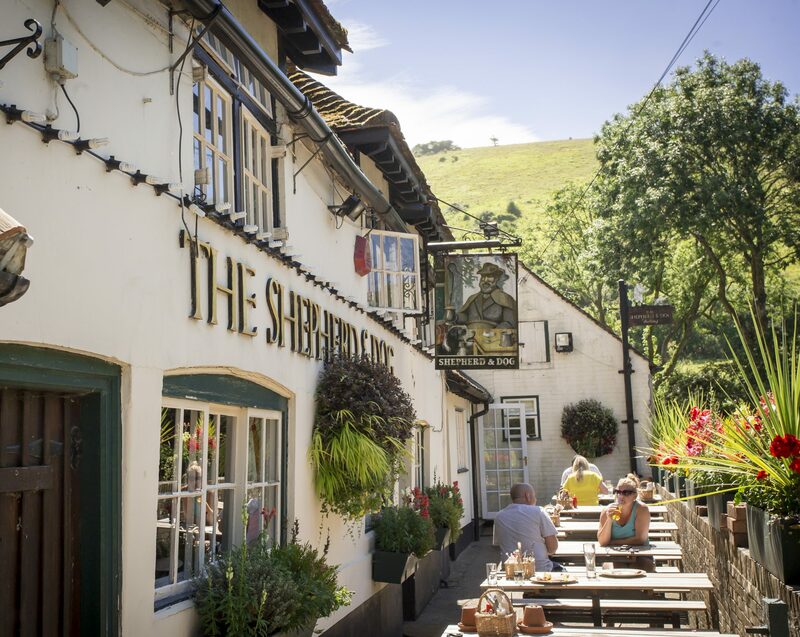 The Shepherd & Dog is one of the most impressive pubs in West Sussex, and one of the reasons for our success is our popularity with walkers and ramblers. The South Downs National Park is right on our doorstep, so we can offer fine dining Sussex-style with dramatic views of the countryside. The park was officially designated in 2011 and is more than 1,600 square kilometres in size. One of the finest gastropubs in Sussex, the Shepherd & Dog provides the perfect base for exploring the local tourist attractions. When it comes to evening dining Brighton has a number of impressive eateries, and we’re proud to be one of them. Here at the Shepherd & Dog, we’ve enjoyed a wonderful summer in 2018, full of long, lazy days under blue skies and warm evenings that sometimes never seemed to end. Our idyllic little corner of Sussex, like just about everywhere else in the UK, really has had a summer to remember this year. 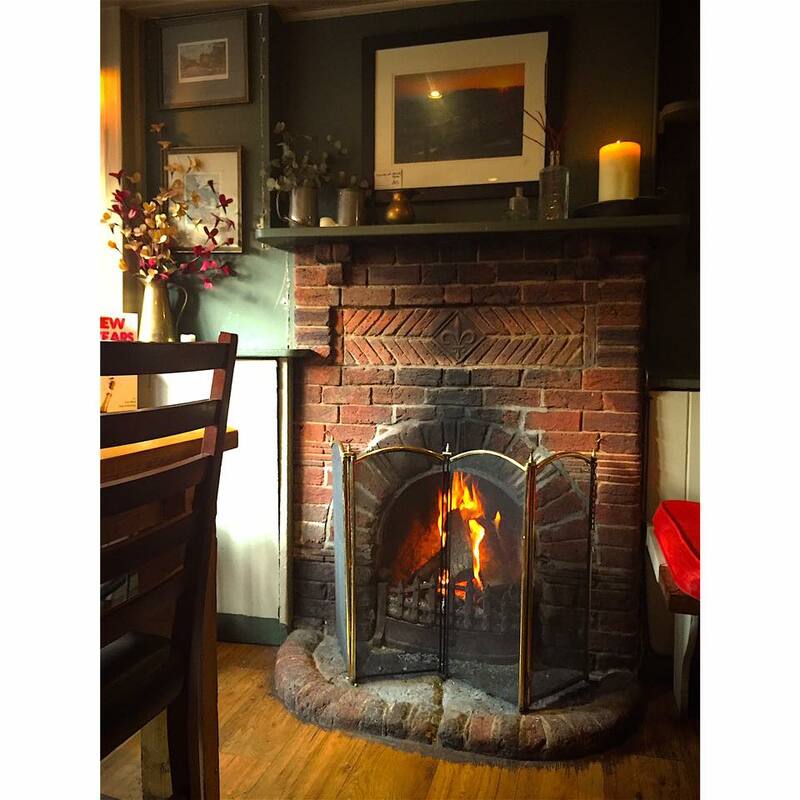 As the autumn season is now upon us, we take comfort in the fact that our Sussex gastropub is just as wonderful and just as welcoming in October as it is in June. While we might see fewer customers savouring an al fresco pie and a pint in the garden at this time of year, there’s still plenty to enjoy inside. 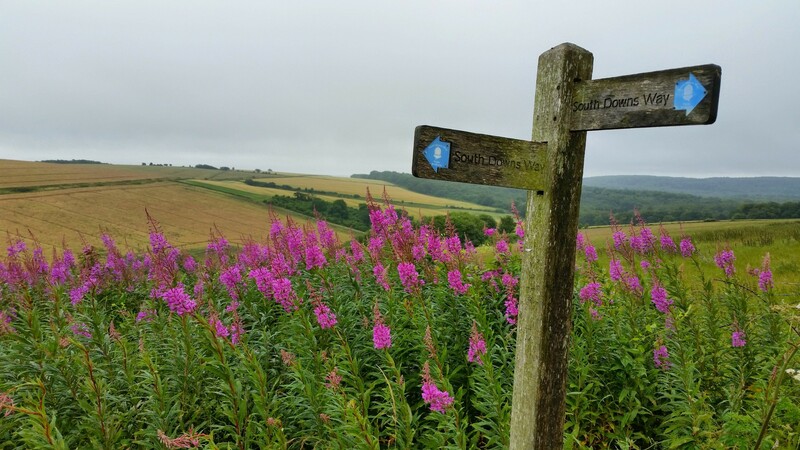 We’re lucky that the rightly popular South Downs National Park is right on our doorstep, and of course a picturesque masterpiece like this becomes uniquely attractive as the colours of autumn start to emerge. As a result, we always have a steady stream of ramblers, hikers and dog walkers coming through our doors. 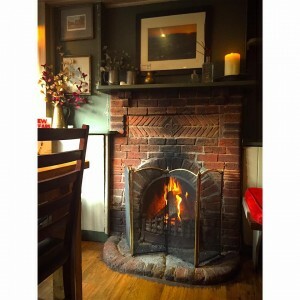 On days when the weather is at its worst in both the autumn and winter seasons, a warm welcome can always be found here. There’s something wonderfully reassuring about a hearty hello, a crackling log fire and a sumptuous hot meal, especially if you’re just coming in out of the storm. We are always fully aware of the fact that when it comes to fine dining Sussex foodies have a wide range of eateries to choose from. We’ve always worked hard to become something of a haven for diners in recent years, and we now enjoy a reputation for culinary journeys which are always enjoyable. Needless to say, many of our customers pop in for a drink or two rather than to sit down and eat. We serve a great selection of craft beers these days, so we’ve become used to newly arriving customers taking a minute or two before deciding what to order. Variety is the spice of life, after all! The Shepherd & Dog is one of the finest rural pubs in Sussex. We’re based in the picturesque village of Fulking. 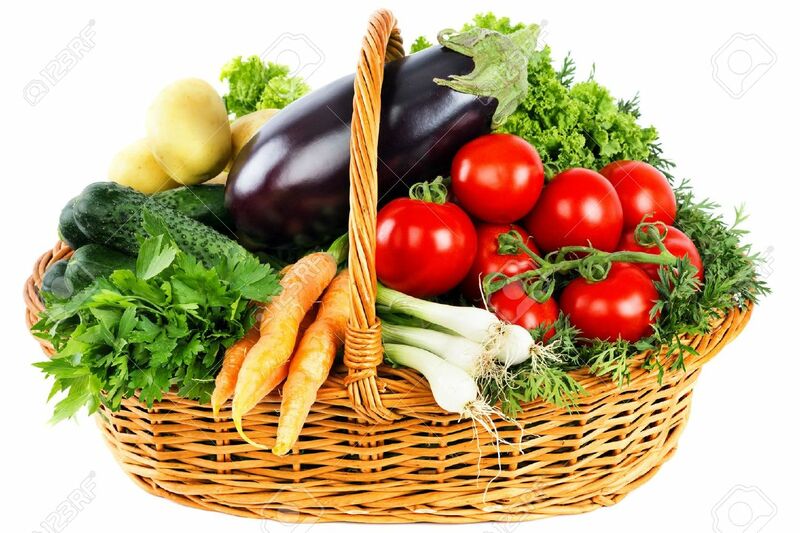 Here at the Shepherd & Dog, we take great pride in the fact that we source a significant proportion of our food ingredients and produce from local suppliers. There are a number of excellent reasons to think more in terms of ‘going local’ these days, and we continue to support as many businesses in our region as we can. Here are four good reasons for doing so. Here in the south-east, well away from the hustle and bustle of London, we are fortunate to be in a region that plays host to a large number of independent suppliers. From fishing fleets along the Sussex coast to remote farms in the South Downs National Park and all points in between, we’re able to provide much-needed business to a great range of highly-respected organisations. By engaging with local suppliers on a regular basis, our kitchen team is able to monitor quality at all times. We can liaise directly with suppliers as and when we need, and this close contact is a major help in maintaining good, mutually beneficial relationships with butchers, bakers, farmers and just about everyone else. We see this as a very important aspect of providing the type of fine dining Sussex can be proud of. We take our environmental responsibilities very seriously, as evidenced by our recycling programmes which cover materials such as glass, cardboard, cans, plastic and vegetable waste. Our commitment to local suppliers is also an important factor, because it cuts down on the pollution caused by the long distance journeys carried out by national providers. The Shepherd & Dog is an important hub in the local community, and we are understandably proud of our idyllic rural location and our links to businesses in the region. We genuinely enjoy the role we play in the supply chain of produce sourced in Sussex and the surrounding area, and in the coming years we plan to cultivate more relationships that bring rewards to all of us. We’re rightly seen as one of the finest gastropubs in Sussex, and we have many local suppliers to thank for that. 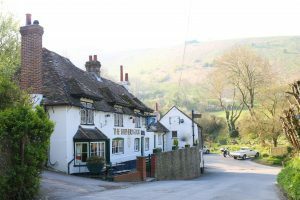 The Shepherd & Dog is a large country pub in the South Downs National Park. We are regarded by many as the best place to eat in Sussex, so come along and see for yourself why we remain so popular. During those long, lovely days of summer, there are few things more enjoyable, more fulfilling and more rewarding than family time. Spending a few precious hours with loved ones can be life-affirming, especially when everyone has the opportunity to relax and forget all about the pressures of everyday life. 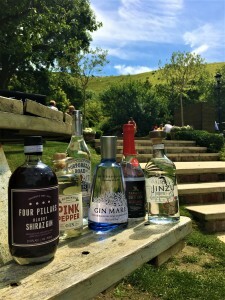 Here in the south-east of England, there are plenty of things to see and do when you have a family get-together, and one of the finest activities is a long walk in the sunshine followed by a mouth-watering pub lunch. The Shepherd & Dog is in a prime location for walkers, with the spectacular South Downs right on our doorstep. And when it’s time to settle back and savour the type of fine dining Sussex has become famous for, what will you choose from our extensive menu? There’s something for everyone to enjoy here, ranging from tasty light bites to hearty main courses and all points in between. Whether you’re in the mood for a traditional favourite with a twist (perhaps line-caught cod and hand cut chips) or you fancy trying something a little different (how does pumpkin, ginger and potato rosti sound? ), you can find it right here. These are the type of lunch options that make you want to stay awhile and soak up the ambience. 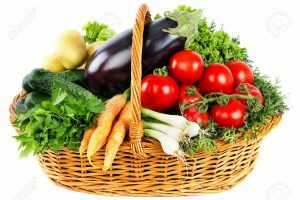 A lunch menu has to have something to suit all tastes for a large family group, with options for vegans and vegetarians, and of course for those with intolerances and allergies. Here at the Shepherd & Dog, we have a menu that appeals to everyone, and we’re understandably proud of the fact that so many of our customers come back to us time and time again. 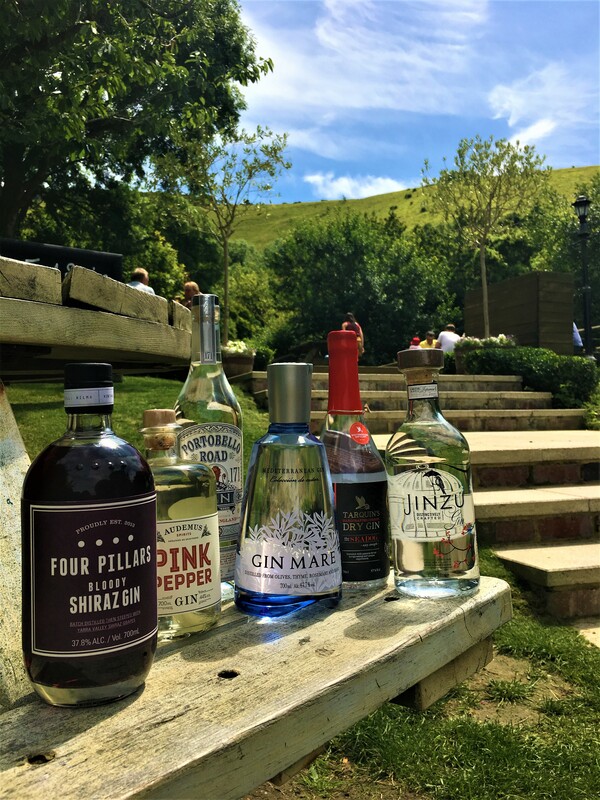 There are a number of superb Sussex gastropubs in our area, but very few of them can boast a large garden in the heart of a celebrated National Park. At weekends and during school holidays, we welcome many large family groups as they seek refreshment after a long walk in the surrounding countryside. 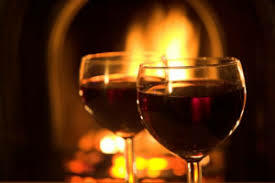 Sometimes nothing beats a few drinks and a delicious meal when you need a little rest and recuperation. The Shepherd & Dog is a lovely Sussex gastropub with a great reputation for fine dining and a warm welcome. Come and see us soon and discover for yourself why we remain so popular. Large country pubs become something of a magnet when the summer months come around, thanks to a combination of fine weather and a large garden. Here at the Shepherd & Dog, we like to try something a little different sometimes, and of course we like to make the most of our setting amid the natural splendour of the South Downs National Park. This July, we’re hosting our Wild Beer Tap Takeover, a celebration of all that’s wonderful about traditional yet innovative brewing techniques. It’s free to enter this event, there’s no need to book in advance or to buy a ticket, you just turn up with a thirst and perhaps an open mind about which ingredients could and should be included in certain beers. For some people, this could turn out to be something of a journey into the unknown. 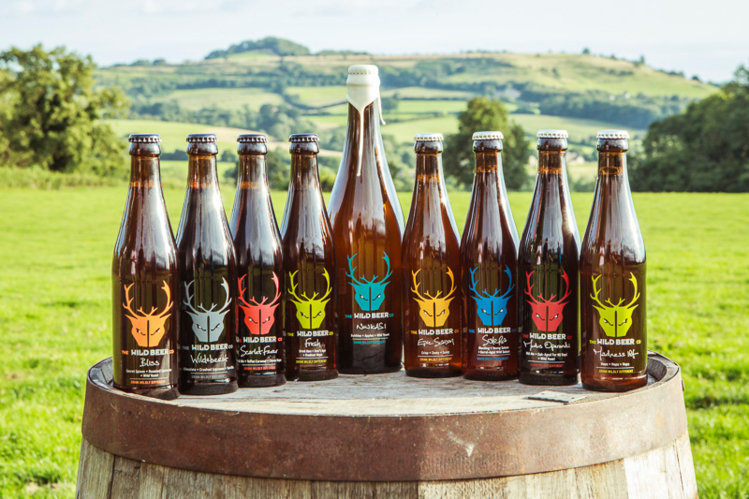 The Wild Beer Company is based on a farm in rural Somerset, where they brew with imagination and flair against a backdrop of picturesque countryside. They have a passion for brewing with unorthodox yeasts and somewhat alternative fermentations, and the end result is a range of beers which have to be experienced to be believed. Their current range includes beers flavoured with ingredients such as limes, salt, pineapple, rhubarb, honey, ginger, chocolate, seaweed, vanilla, coffee, pepper, sourdough and so much more. We love the way they combine what might be seen as unusual ingredients with an appreciative nod to traditional brewing processes, resulting in a stunning selection of beers which cover the whole taste spectrum. Needless to say, here at the Shepherd & Dog we are synonymous with the type of fine dining Sussex has become famous for, and our superb summer menu will be available to complement the Wild Beer event. Here’s a golden opportunity to give your summer a bit of a twist, and to celebrate the union of fabulous beer and exquisite food. The Wild Beer Tap Takeover is on July 26th at the Shepherd & Dog in Fulking, one of the finest gastropubs in Sussex.